Easy to clean and attach and with a fine mono base and a 1" poly perimeter, the L1 is one of our more durable hair systems. Its freestyle hair direction will give you plenty of styling options. 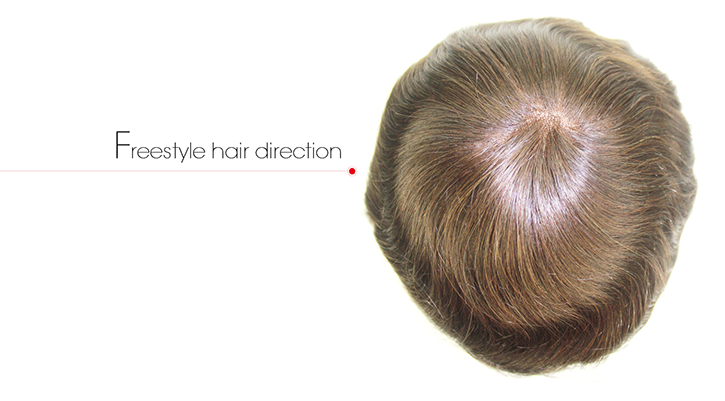 Our L1 mens human hair wigs is a traditional model with a fine mono top and a PU perimeter. 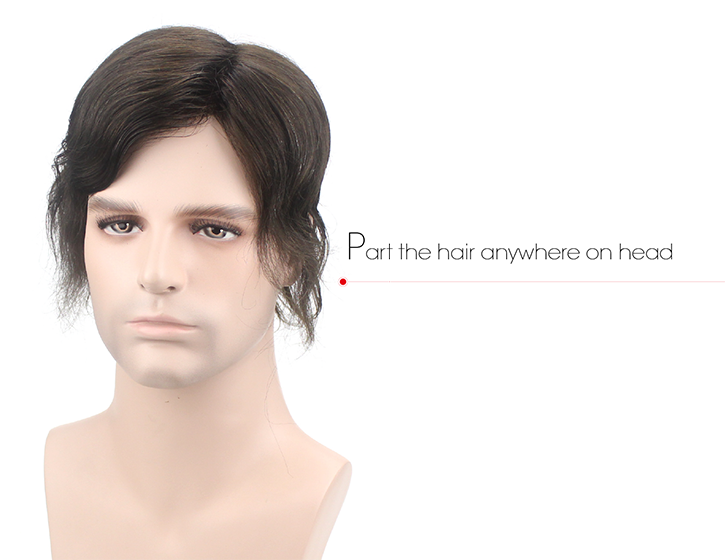 The L1 mens human hair wigs is easy to attach and simple to clean. The L1 has a free style hair direction so this hair replacement system is versatile. The custom L1 has a fine mono top which helps to maintain shape and contour. 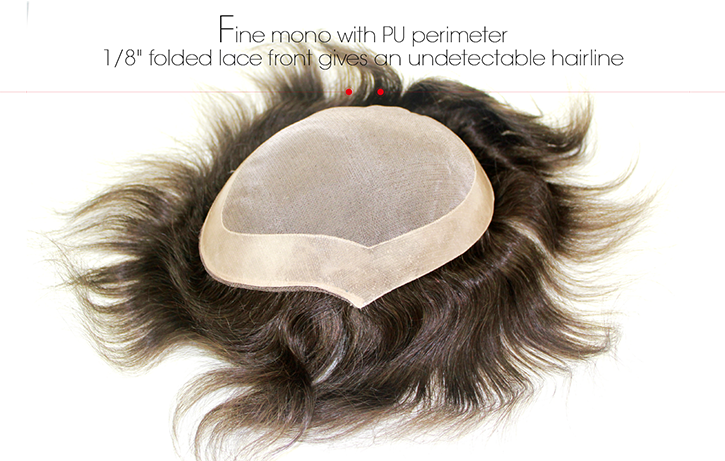 The L1 has a hairline made of 1/8 inch folded lace which is also durable. 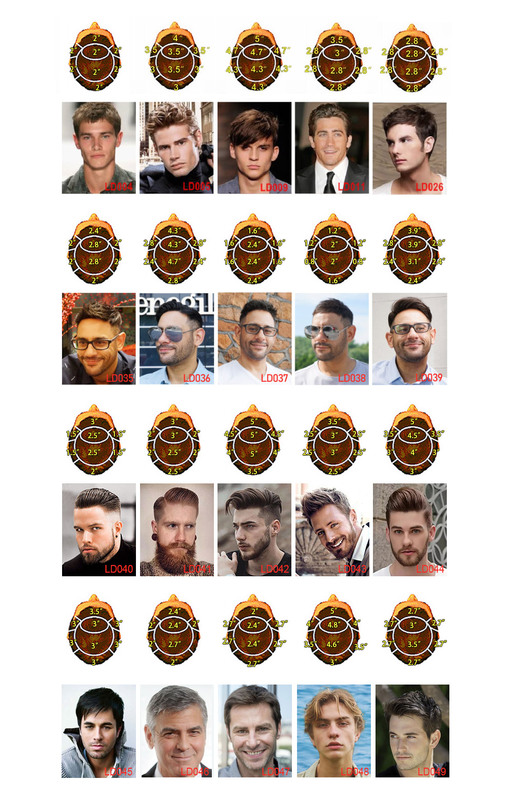 The L1 mens human hair wigs is ideal for customers who do not have a brush back hair style and who feel durability is more important than a natural look.